High schools can now register for the 10th annual Drugs & Alcohol Chat Day, a web chat to be held on January 26, during National Drug & Alcohol Facts WeekSM, which runs from January 23 – 29, 2017. Registrations are taken on a first–come, first-served basis and are limited to about 100 schools. The event is coordinated by the National Institute on Drug Abuse (NIDA) in partnership with the National Institute on Alcohol Abuse and Alcoholism, both part of the National Institutes of Health. Drugs & Alcohol Chat Day is a live, online chat held between teen students and scientists during a 10 hour period beginning at 8 a.m. EST. During the event, thousands of students from high schools around the country ask questions about drugs and alcohol use, including: health effects; how to help friends or family who are using substances; and what causes addiction. Over the past nine years, more than 100,000 questions have been answered. Scientific experts from the National Institute on Mental Health also participate, to answer questions about depression, anxiety, and other mental health issues that might contribute to teen substance use. During the popular chat, scientists offer facts known through scientific research, and not judgment. See transcripts from chats from previous years. National Drug & Alcohol Facts Week is a national health observance that brings experts and teens together to SHATTER THE MYTHSTM,SM about drugs and alcohol. NIDA is also offering students around the country a chance to fill out and submit a pledge card to help SHATTER THE MYTHS. 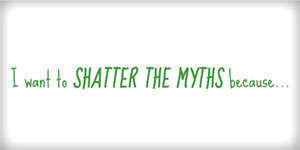 Students can submit a photo or video answering the following question: “I want to SHATTER THE MYTHS because…” Details can be found at http://teens.drugabuse.gov/national-drug-facts-week/get-activity-ideas/i-want-shatter-myths-because. To register for Drugs & Alcohol Chat Day, click here: https://teens.drugabuse.gov/national-drug-alcohol-facts-week/chat-with-scientists. Further details about National Drug & Alcohol Facts Week, including updated toolkits, the National Drug & Alcohol IQ Challenge, and other free resources for event planners, can be found at http://drugfactsweek.drugabuse.gov/ or via e-mail at drugfacts@nida.nih.gov. NIDA. "Registration opens for Drugs & Alcohol Chat Day." National Institute on Drug Abuse, 5 Dec. 2016, https://www.drugabuse.gov/news-events/news-releases/2016/12/registration-opens-drugs-alcohol-chat-day. NIDA. Registration opens for Drugs & Alcohol Chat Day. National Institute on Drug Abuse website. https://www.drugabuse.gov/news-events/news-releases/2016/12/registration-opens-drugs-alcohol-chat-day. December 5, 2016.